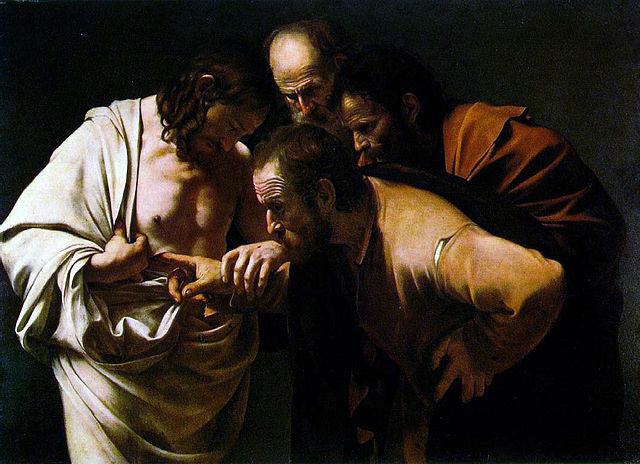 We tend to think of Jesus showing the scars to Thomas, but in v. 20 he shows them to everyone present just as he breathed on them and anointed them with the Holy Spirit. These are not unrelated. The Holy Spirit heals us of our hurts, not pretending they never happened, but turning wounds into scars and scars into the inscription of God’s grace on our lives.